With September right around the corner, all the delights of apple season for kids will soon be here. Even if you don’t have an apple orchard to visit this fall with your own kids, they can create a fun Wikki Stix fine motor apple core craft (with lattice patterns) right at home. 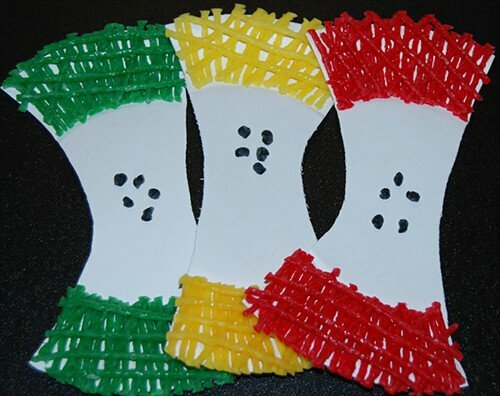 Red, Yellow, Green, and Black Wikki Stix (additional colors can be set out for children who wish to create other colors of apples, too). Make an invitation to create by placing all supplies out on a table for kids to see. Kids are naturally curious and will gravitate to the supplies in order to create. Have kids cut away both sides of a small paper plate to resemble an apple’s core. Note: an apple isn’t eaten in perfect symmetry on both sides. 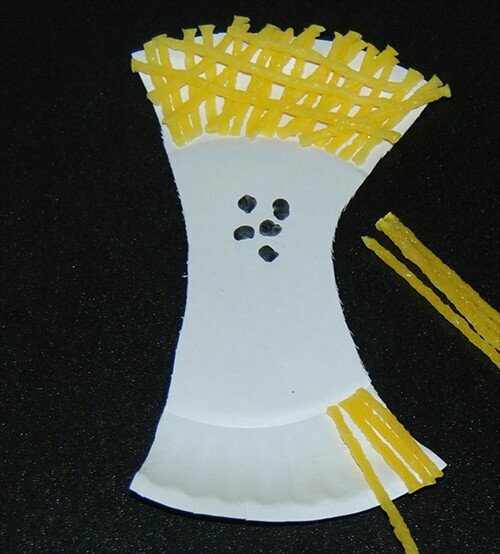 Kids can cut the curved lines on the paper plate as desired. 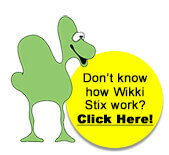 Kids can choose any apple color of Wikki Stix to begin their craft (some kids may wish to be adventurous and create a purple, pink, or an orange colored apple craft with Wikki Stix, too). To create the lattice design, kids can cut pieces of Wikki Stix and lay them vertically along the top and bottom ridged portions of the paper plate. When finished with the vertical strips of Wikki Stix, kids should lay Wikki Stix diagonally across the top of the vertical strips to create the lattice effect (see photo below for an example). Creating the apple core craft lattice patterns with Wikki Stix will build hand-eye coordination, fine motor skills, and cutting skills for kids. Note: Wikki Stix can be cut with safety scissors. Remind younger children to always keep “thumbs up” when cutting with scissors as without proper form, the Wikki Stix will bend with the scissors. 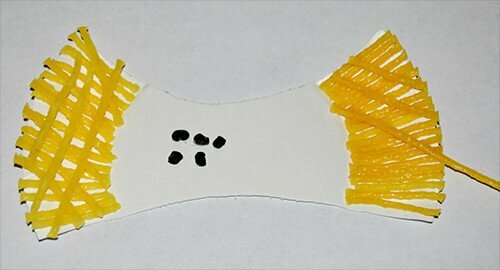 When the apple core’s lattice designs on the top and bottom of the craft are complete, kids can cut small pieces of black Wikki Stix, form into tiny balls, and place the balls near the center of the craft to resemble the apple seeds. If desired, kids can create a loop from an additional Wikki Stix, press the loop behind the apple core craft, and make a hanger for displaying at home (or in the classroom) this fall. 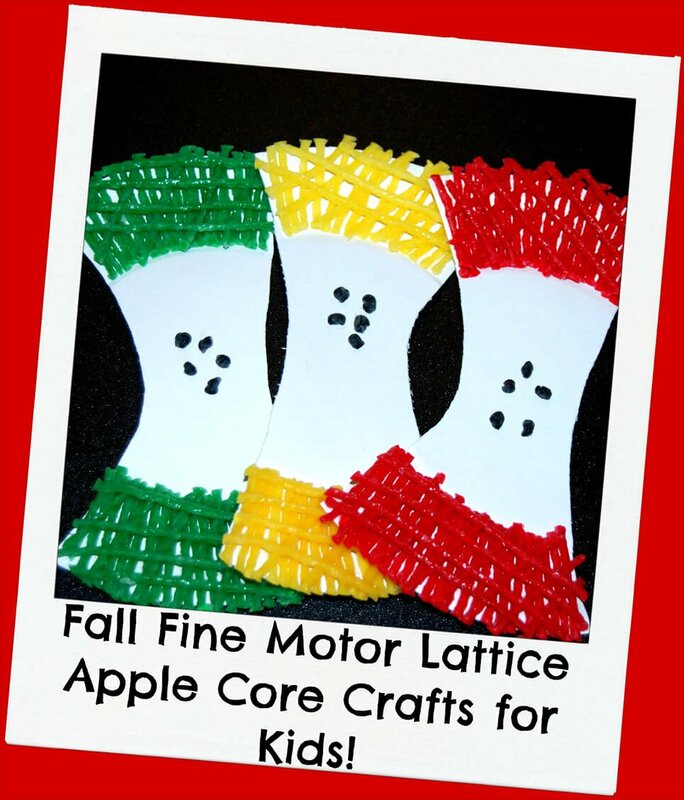 The Wikki Stix lattice apple core crafts are fun fall crafts for kids to create. The apple crafts make a wonderful seasonal display while helping kids build fine motor skills, too.